If you’re looking for repairs and servicing for your home theater equipment, you’ve come to the right place. 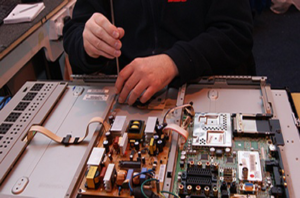 Windt’s Santa Cruz Radio & TV (SCTV) can repair just about anything audio and video-related. Whether it’s a new TV, stereo receiver, amplifier, or an old turntable, SCTV can get your electronic product repaired and back to its former glory. Simply complete the quick form below and let us know how we can help you today.